The Advisory Committee is to spearhead the Constitution Reform campaign. The Supervisor of Elections will have the responsibility for the mechanics of the referendum poll, while the Constitution Reform Advisory Committee will spearhead the campaign so as to avoid a repeat of the St Vincent and the Grenadines experience. Robert Branch, Focal Point in the Committee in the Ministry of Legal Affairs said that all who are eligible to vote in a general election, will be qualified to vote in the referendum poll. “However, before it goes to the general voting population, it must be first get a two thirds vote in the House of Representatives and a simple majority in the Senate,” he said. 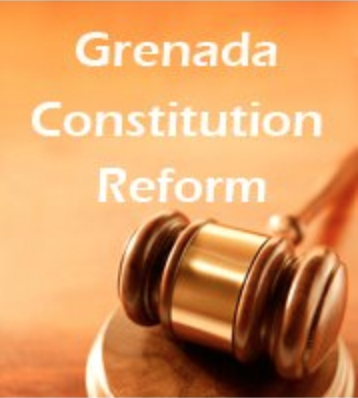 Before it is voted on by members of the Lower House of Parliament, the Bill for Constitution Reform must be laid in the House for at least 90 days between the first and second reading. To ensure that voters are not misled to think that the Referendum Poll is a General Election poll, the campaign for the referendum will be spearheaded by the Advisory Committee. “This is the first time we are doing this, but we are all acquainted with the outcome when St Vincent held its constitutional referendum poll which was led by political parties. We really want to avoid a repeat here,” said Branch who explained that interest groups may have a different view and may encourage people not to participate. A constitutional referendum was held in Saint Vincent and the Grenadines on 25 November 2009. The various political parties in that island spearheaded the campaign in which voters were asked whether they approved of a new constitution which would replace the constitution in force since independence in 1979. The proposal was supported by only 43.13% of voters in the referendum, well short of the required two-thirds threshold. The referendum was the first of its kind to be held by a member of the OECS, the Organisation of Eastern Caribbean States.